This is a rectangular Rhstaller Gilt Edge porcelain sign. This particular Ruhstaller Gilt Edge sign is light blue with black text. 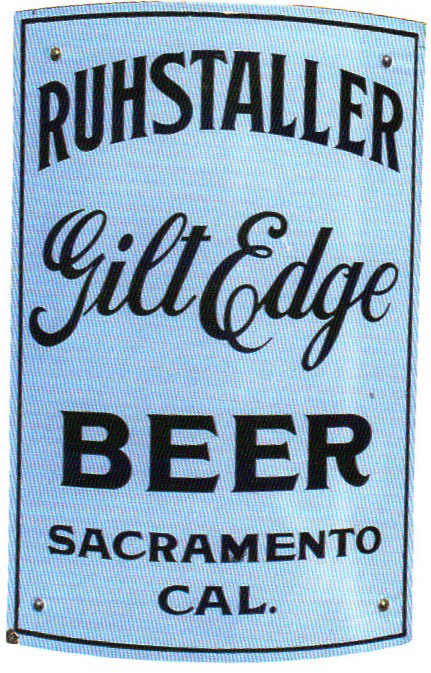 It reads, “Ruhstaller Gilt Edge Beer, Sacramento Cal.” and features a thin black border.